Thank you for your interest in Lads Consulting Service. The following is an outline of the basic services provided. If you do not see a package the fits your needs, or are looking for a specific service not listed, please contact me. I am happy to discuss any specific needs you may have and tailor a program for you. Complete application process for new show dates, or renewal of existing show dates with USEF, USDF and CDS for all shows to be held by the client in a calendar year. Contact and contract with officials and personnel needed for all shows held by the client in a calendar year. To include: Judges, TDs, EMTs, videographers, photographers. Design and submit required Prize List to USEF, USDF, and CDS. Provides for one (1) prize list to include all shows held in a calendar year by client. Register all shows to be held by client in a calendar year with CDFA. Complete Show Secretary Service for CDS or Three Star Shows: The following items are provided pre, during, and post show. Fees: Call for pricing. Acceptance and processing of entries. Scheduling of rides and communication of ride times to all show participants. Provide emergency preparedness plan, as required by USEF. Provide all forms required for TD, CDFA, pony measurement, non-memberships, etc. USEF Required TD Packet and reports provided. 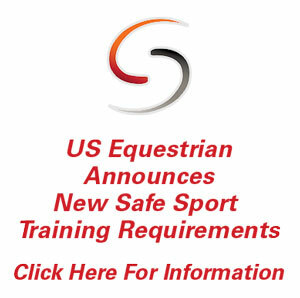 USEF required Accident Preparation Plan provided. USEF required Emergency Vet and Farrier contact and directions provided. Set up show office with all required posted items. Provide printed tests, and prepare test with labels organized for judges. 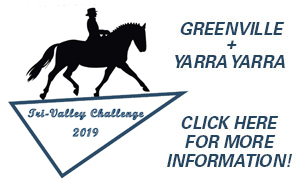 Provide bridle numbers and competitor packets. Communication with show participants on schedule, trouble shooting, other. Front office support – set up of rider packets and check in. 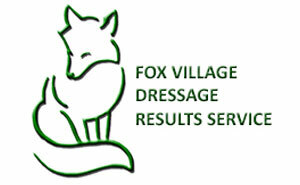 Submission of results to USEF, USDF, and CDS as required by each organization. Recap of refunds needed to participants to be paid by client. Partial Show Secretary Service for CDS or Three Star Shows: The following items are provided pre, during, and post show. Fees: Call for pricing. TD Packet provided if requested. Oversee check in of riders. – Volunteer(s) provided by client to assist with check in. Oversee scoring of rides. – Volunteer(s) provided by client to assist with scoring. Fox Village Training / Template Creation / Show file creation. Fee based on time @ $25 / hour. Files can be sent via email and ready to import into clients FV database. Training of personnel and other services are available. Fee to be determined. Physical show office space. Tables, chairs, electricity (for computers and printers). Show office should be out of the sun/wind or other elements. Volunteers for runners, scribes, ring stewards, prize table, parking stewards, announcers etc. Volunteers should be familiar with USEF/USDF competition rules as required by their job. Training for volunteers available upon request. Dressage ring set up and maintenance. Arranging and oversight of all facility needs including, but not limited to: ground and arena maintenance, restroom facilities, parking for cars and trailers, vendor areas etc. Arranging and providing Judges and TDs transportation, lodging, food etc. Facility pays for USEF, USDF, CDS, and CDFA fees directly unless agreed upon otherwise. Services include submission of payment with reports post show. Facility must provide proof of insurance for shows as required by rules to USEF, USDF, and CDS. Copy of proof of insurance must also be provided to Laurie. Service provided are for show secretary support only. This may include paper work needed prior to and post event. Secretary services do not include handling or directing horses, riders, owners, or trainers in any way. 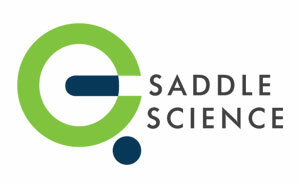 Client is responsible for insuring that horses, riders, owners, and their agents act in safe and responsible ways. Any fees incurred due to not following specified rules and regulations of USEF, USDF, or CDS are solely the responsibility of the client. Laurie Daniel/LADS Consulting Service assumes no liability for any legal action with may arise as a result of the show.